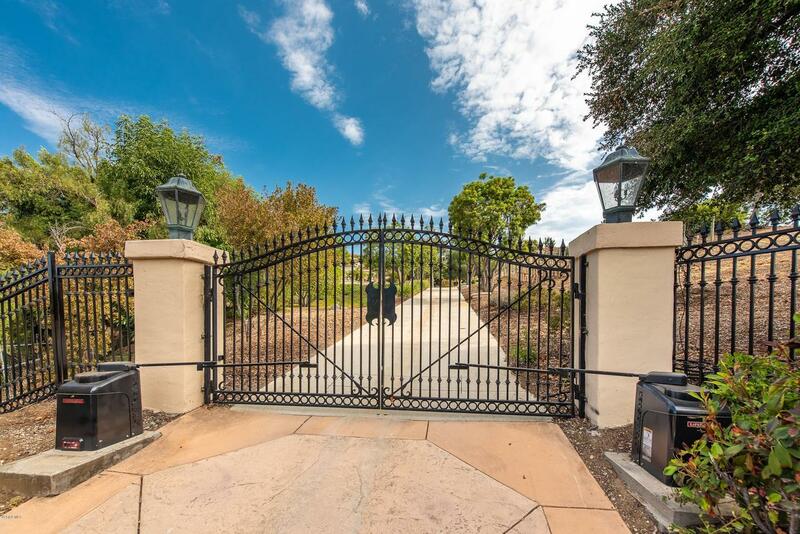 Valley 3142 DeerDrive up a long tree lined driveway to this gated estate set on 2.21 acres. 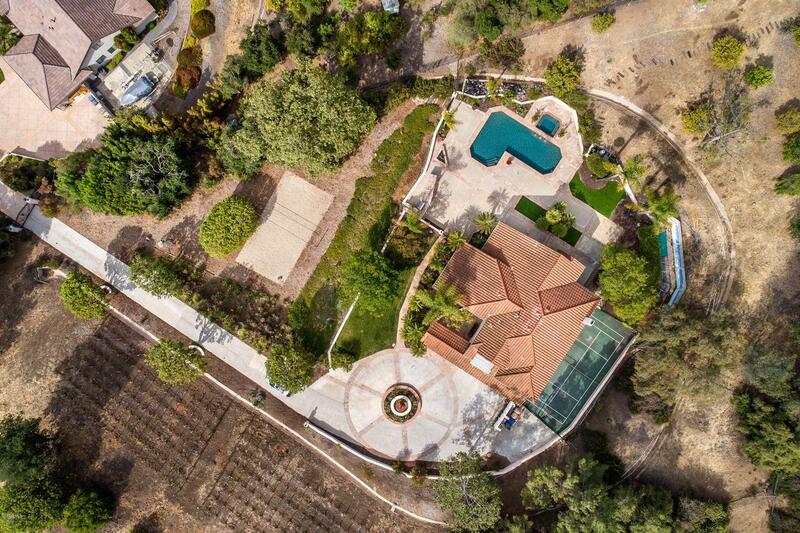 This rare offering features a vineyard planted with cabernet grapes, sand volleyball court, sport court, glorious pool and spa, BBQ center, huge 3 car garage & wide motor court. You are top of the world with gorgeous views and privacy. Step through a covered entry with double entry doors to a light and bright interior, newly painted and carpeted, featuring wide windows, newly upgraded fixtures, plantation shutters & a view from virtually every window. Kitchen has granite counters, center island, high end stainless steel appliances and is open to the family room and bar area complete with wine refrigerator. This 4Bd/3Ba home has a spacious master bedroom and luxurious master bath redone with tumbled marble, dual sinks, large tub with separate shower and generous closets. In addition is a large bonus room upstairs. 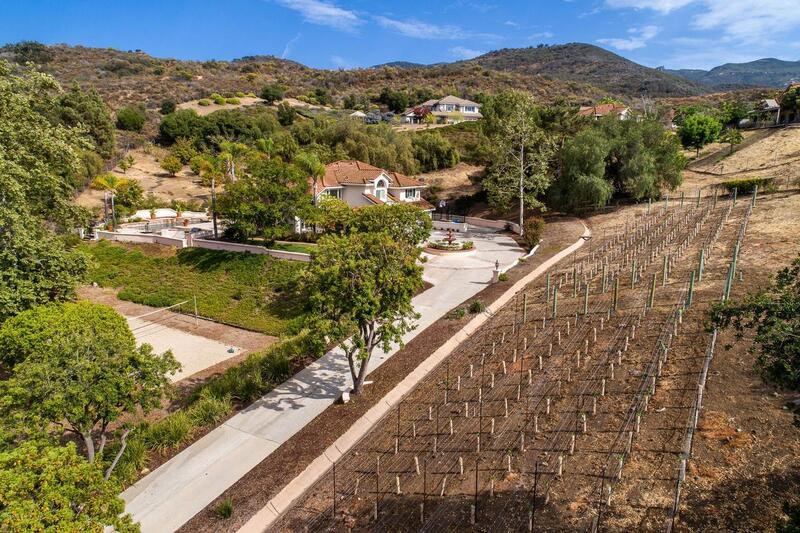 Beautifully situated in an area known for it's temperate climate, excellent schools, hiking trails and proximity to the beach, this estate, perfect for entertaining, presents California living at it's finest. Sold by BRE#00979849 of Rodeo Realty. 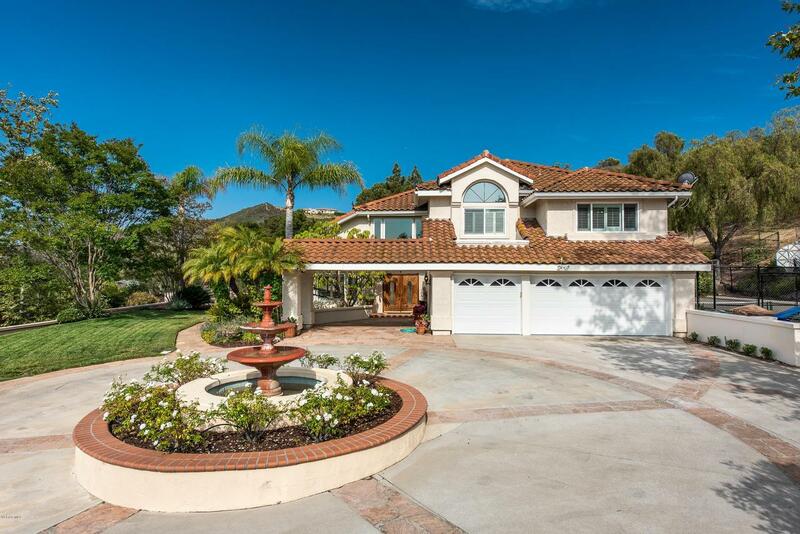 Listing provided courtesy of Dennis Aubery DRE#00979849 of Keller Williams West Ventura County.